Introduction. Why a Disconnect? 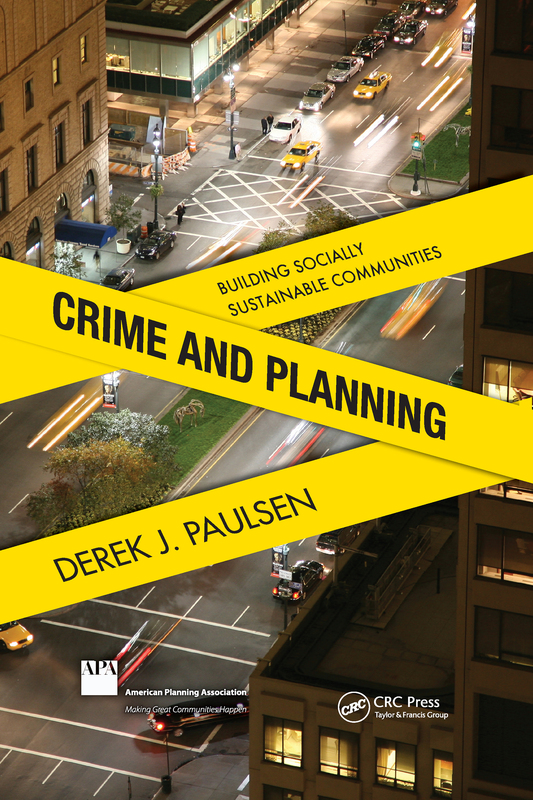 Crime, Planning, and Sustainability. Structure of This Book. A Brief Overview of Crime and Crime Issues. Major Issues in Crime and Urban Planning. Redefining Sustainability. Redefining and Refocusing Sustainable Communities. Integrating Crime Prevention into a Socially Sustainable Planning Program. Current Crime Prevention-Planning Programs. Integrating Crime Prevention into the Everyday Planning Process. Tools for Understanding Context. Design Guidance. Planning Policy and Socially Sustainable Communities. Smart Growth. Form-Based Codes. Suburban Retrofitting. Case Studies. Residential Neighborhood Case Study. Retail District Case Study.